“The implementation of the ‘final solution’ by the German government meant that Jews were deprived of all means, of earning an income, of their property, and eventually were deported to camps in eastern Europe, where they provided forced labor for the German war effort. In these dreadful camps many were put to death.”) from Galilei 2000, page 195. Galilei 2000, Seite 195. Among other things the documentation shows: German concentration camps including those in the east were working camps and not part of a system of genocide. We would like to thank the current President of the Council of the European Union, Helle Thorning-Schmidt, as well as the Danish Ambassador in Berlin, His Excellency Per Poulsen-Hansen, that they did not raise any objections against our publishing the documentation below we had previously sent to them. 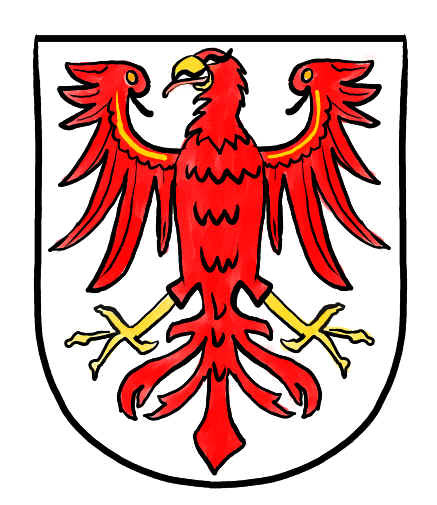 Who put the political leadership in Brandenburg under Matthias Platzeck and its criminal judiciary in their place? I request that you deploy your influence in such a way that the impression is dispelled that your institution was in any way involved in the illegal activities by the local authorities. The background might be that the PRINCIPALITY OF SEALAND in further developing the Vril technology for civil applications is able as trustee to access the research from the time of the German Reich – also done during the times of National Socialism. For this, the PRINCIPALITY OF SEALAND today is absurdly accused to be sympathetic to the regime between 1933 and 1945 – possibly knowingly disregarding that the German Reich has been in existence for more than a thousand years and is still in existence today. May a liquidator become active (on 29.12.1999),by announcing a “deficiency of assets” to the Judicial Officer Ms Kraft before an insolvency decision had been handed down (30.12.1999)? 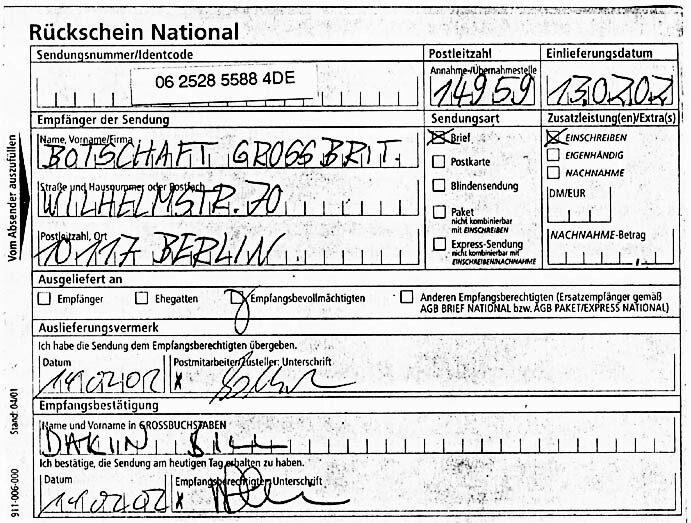 And this apparently had been signed personally by the renowned Judge at the District Court Dr. Thorsten Graeber? – Inconceivable really. 1. Is it according to law to let a liquidator legally start proceedings (on 29.12.1999) before the decision to open insolvency has been handed down (30.12.1999)? 2. The original handwritten decision does not match the official copy executed by the authenticating official. Why is an official insolvency decision signed by both a judge and a judicial officer? 3. Is it at all possible that Judge Graeber has been able within a mere two days to get fully and competently acquainted with the comprehensive and complicated dossier of this insolvency request and the fundamental expert opinion, that demonstrably is based upon falsified data, to be able to sign this insolvency decision according to his good standing? 4. Has Judge Graeber really personally signed this decision? Or could the signature even be forged? The District Court Director had checked an legally approved the diplomatic immunity of the Prime Minister of the PRINCIPALITY OF SEALAND in Germany. Then he was forced by his superior to rescind his decision. 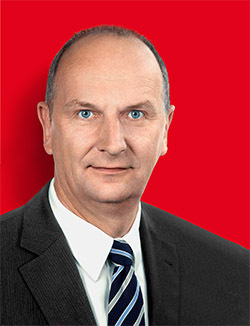 On September 24, 2010 Mr Johannes W. F. Seiger had received from the District Court Potsdam the Decision that his appeals against the unlawful insolvency procedure were “not admissible and dismissed with costs”. 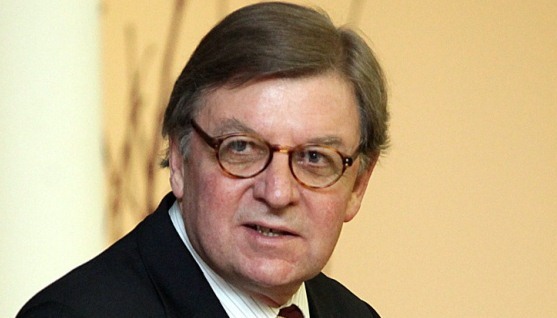 Despite this Mr Herr Seiger on October 18, 2010 filed a complaint against the two liquidators, lawyers H. Albers and U. Berlitz for breach of trust, fraud, forgery of documents and false affirmation in lieu of oath to the Department of Public Prosecution in Berlin. Dated October 29, 2010, Mr Seiger received the notice that ‘action’ was being dealt with under the file number AZ 34 Js 4894/10. Now one tries provably to ‘cleanse” the electronic trade register entries by having pieces of evidence simply disappear. After the deletion “ex officio” and the interdiction to trade of 24.4.2000 the company was no longer existent. Nevertheless, the activities of the liquidator had been continued until 2008. In this and until today neither the rights of the creditors nor those of the aggrieved parties had been observed. We will press charges against all involved in this process for disregard of the diplomatic immunity of the Prime Minister of the PRINCIPALITY OF SEALAND (Article 40, Vienna Convention on Diplomatic Relations) as well as all involved public officers for perversion of justice and hold the accountable. In the meantime our claims for compensation against the State of Brandenburg and the liquidator have reached a sum in the two-digit million Euro area. Why does the Federal Republic of Germany since 1990 – disregarding the Vienna Convention on Diplomatic Relations – deny its diplomatic contacts with the Principality of Sealand ? "The Foreign Office confirms with thanks …"
The Vienna Convention on Diplomatic Relations of April 18, 1961 was joined by practically all states of this Earth, for instance the USA, England, Israel, and effective of August 13, 1964, also the Federal Republic of Germany. It is an international law that has been incorporated into the German law and it does not allow any arbitrary interpretations or modifications. In Article 40 the ‘Vienna Con-vention’ regulates the diplo-matic relations also between states that have not or not yet recognised each other diplo-matically. It is valid with equal rights and obligations first and foremost for diplomats with their staff who are in transit or are in the host country for other reasons. 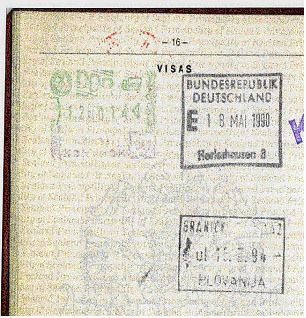 This is expressed by the visa in the diplomatic passports. 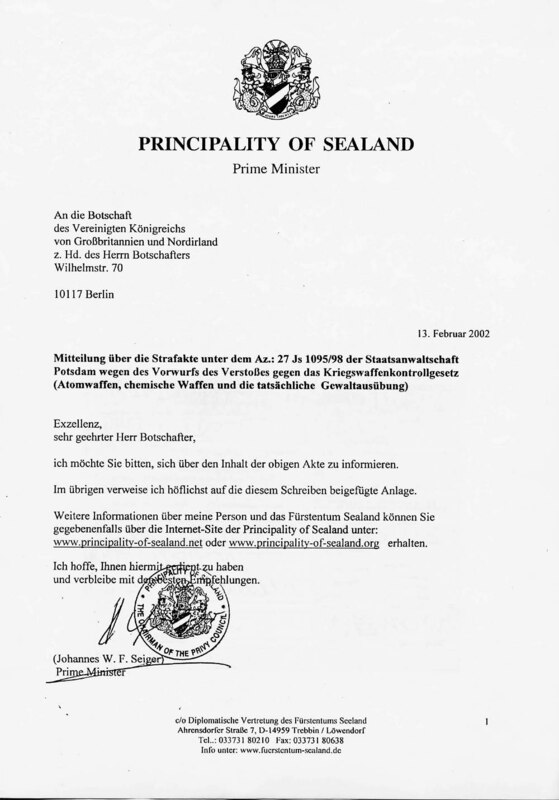 With our letter to the Federal Foreign Minister Westerwelle of May 4, 2010, (receipt stamp from the Foreign Office of May 11, 2010, plus attachments) we have once more pointed out the first diplomatic contacts by the Federal Republic of Germany to the Principality of Sealand dating back over 30 years. (BGH = Federal Court of Justice – ‘Bundesgerichtshof’, the highest appellate court in Germany for civil and criminal cases). 4.4. 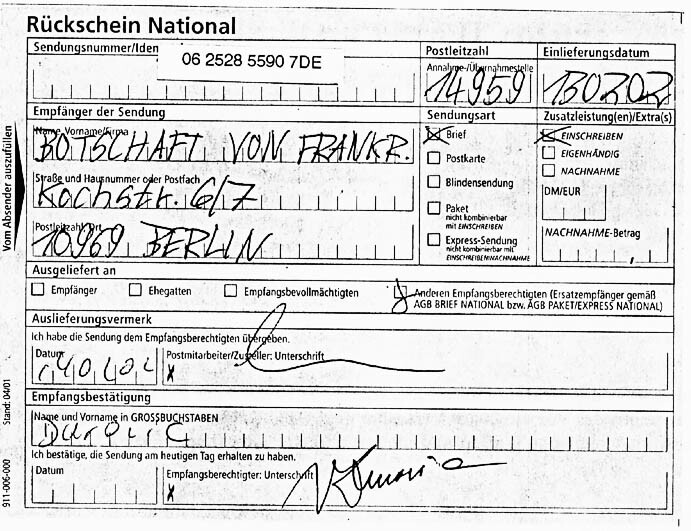 Sheet 110–140: M. Platzeck, Prime Minister of the State of Brandenburg, criminal complaint of May 10, 2007 concerning attempted murder as indirect delinquent. No answer. 4.6. 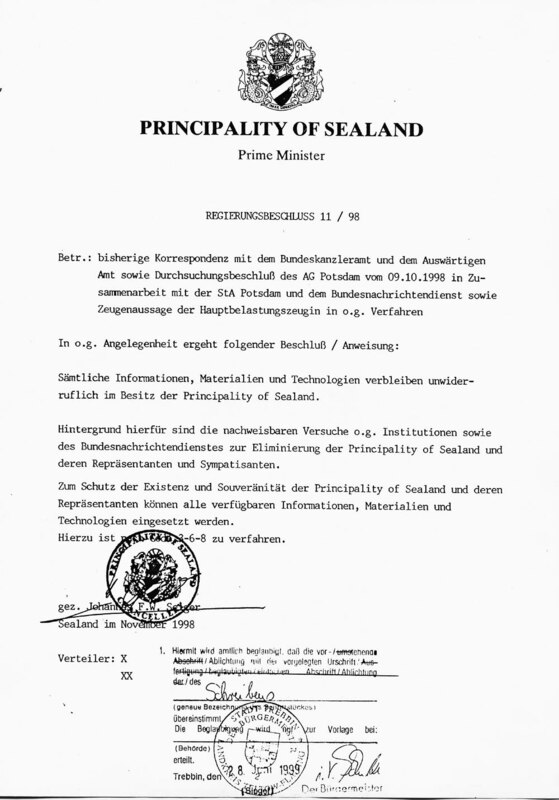 Sheet 143–145: Finance court Münster, Decision of December 1, 1995 concerning the Sealand Trade Corporation: “This decision is incontestable.” – Thus the existence of the Sealand Trade Corporation is also incontestable. 4.8. 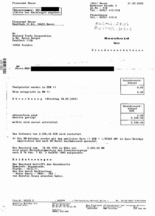 Sheet 246–249: Letter of July 5, 2007 by the tax authorities Luckenwalde: order of attachment and transfer of garnished clause for € 822.352,60. 4.9. Sheet 250–251: G. Schröder, Chancellor of the FRG, offer of April 26, 2005, personally to test a Sealand Generator (Vril Technology, cosmic or free energy). No answer. 4.10. 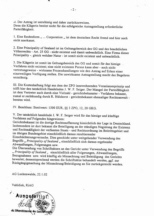 Sheet 252–271: Dr. A. Merkel, Chancellor of the FRG, letter of September 20, 2006, demanding to engage visibly for a Peace Treaty – the formal ending of the Second World War. Testing offer for a Sealand Generator. No answer. 4.11. 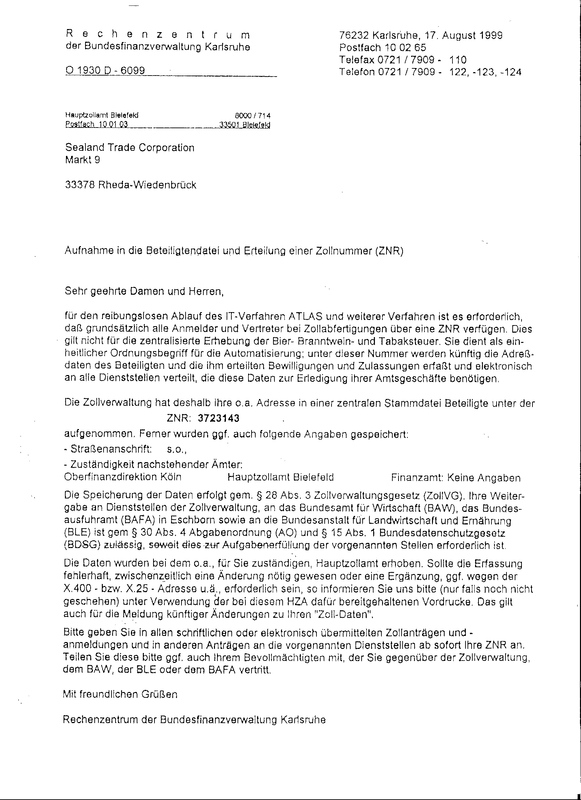 Sheet 272–281: Dr. G. Sabathil/Frau D. Jering (deputy), European Commission: Letter of January 17, 2007: Incarceration despite diplomatic immunity. The Court is cognisant of the legal conception there concerning the situation in Germany. Especially is known the participation in the on-going negation of the existence and legality of the constituted state and legal order in the joining area and in the existent federal area including the intimidation attempts resulting therefrom. This happens under continuing use of the term “Principality of Sealand” including all resulting modifications, deductions etc. 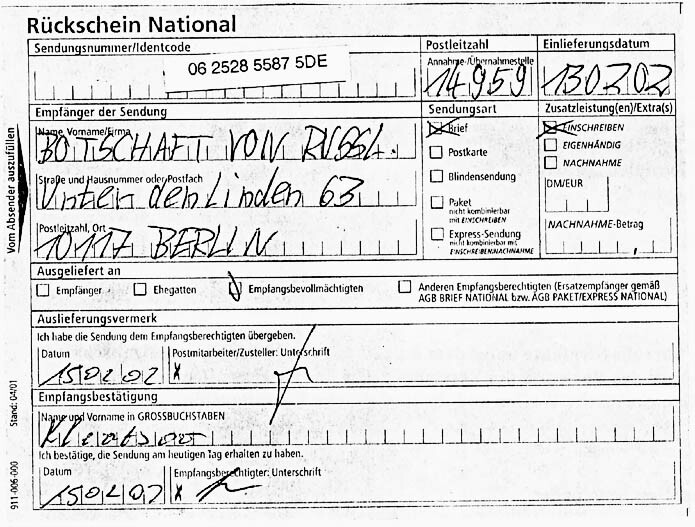 and the Customs Number [ZNR]: 3723143 by the Hauptzollamt Bielefeld. 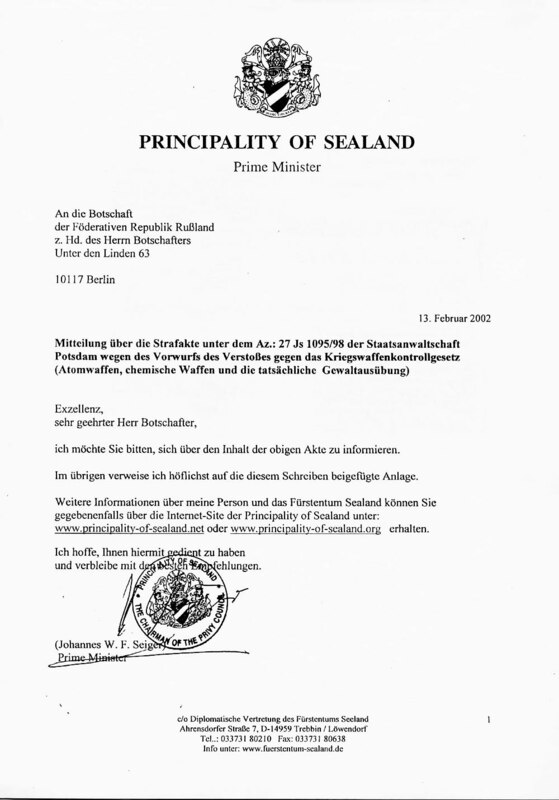 In a letter of January 27, 2003, to the Prime Minister of the State Brandenburg, Mr Matthias Platzeck, the Prime Minister of the Principality of Sealand, Johannes W. F. Seiger, in unusually sharp manner and ulimately pointed to the obviously serious grievances within the Brandenburg Judiciary. 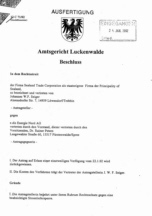 Also letter of May 2, 2003 to the Minister of Justice in Brandenburg, Ms Barbara Richstein. At present in German only! In December 1999 the Government of the Principality of Sealand announced in its German and English websites: Extensive documents about the cooperation of the Brandenburg judiciary and the insolvency administrator will soon be published here. Secondly! Subject: Sealand Trade Corporation – state-owned company of the Principality of Sealand, represented by J. W. F. Seiger. 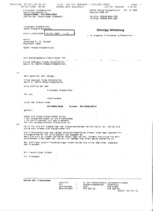 Subject: Sealand Trade Corporation – state-owned company of the Principality of Sealand, represented by J. W. F. Seiger. 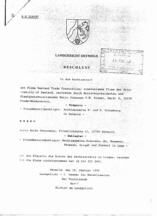 The following documentation will prove that since 1992 the destruction of the Sealand GmbH und Co. KG has been knowingly and wilfully attempted in collusion with heads of LPG’s (Landesprojektgruppen, country project groups), notaries public, liquidators, one mayor, lawyers and the Brandenburg judiciary and that insolvency proceedings were set in motion by the responsible politicians of the State of Brandenburg. In order to destroy the representatives of the Principality of Sealand in Germany economically, criminal methods have been staged in so-called “insolvency proceedings” against the Sealand Handelsgesellschaft mbH and are implemented by insider arrangements. In connection with this our legal department has found 98 (ninety-eight!) procedural errors and legal infringements by the public offices and the insolvency administrator officially appointed by them. Here we document the actual state of the correspondence regarding ‘Brandenburg Judiciary vs. the Representatives of the Principality of Sealand’. 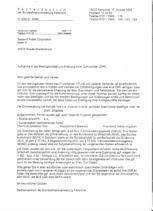 In a letter by the Kreissparkasse Teltow-Fläming of February 7, 2000, to Mr. Johannes W. F. Seiger / Sealand Trade Corporation, they announce that their business relationship is cancelled with immediate effect. When Mr. Seiger tried to clear the account and empty the safe-deposit box, he was not admitted. Then, two days later, he was barred from entering the bank at all. 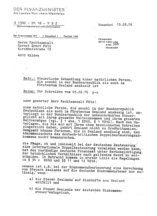 In a further letter of May 2, 2000, the lawyers Sobczak & Kollegen as legal representatives of the Kreissparkasse Teltow-Fläming told Mr. Seiger, that, if he would not hand over the key (how, being barred?) the safe-deposit box No. 63/R would be forced open. 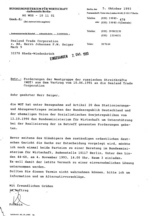 In that safe-deposit box were secret documents which according to the notarised protocol of March14, 2001, (see also German original) about the breaking open of the safe deposit box 63/r /righthand cupboard), UR No. 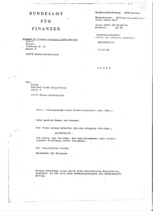 326/2001 by the notary public Gattner at Luckenwalde became accesible to the persons named in the said protocol because no sealing had taken place. 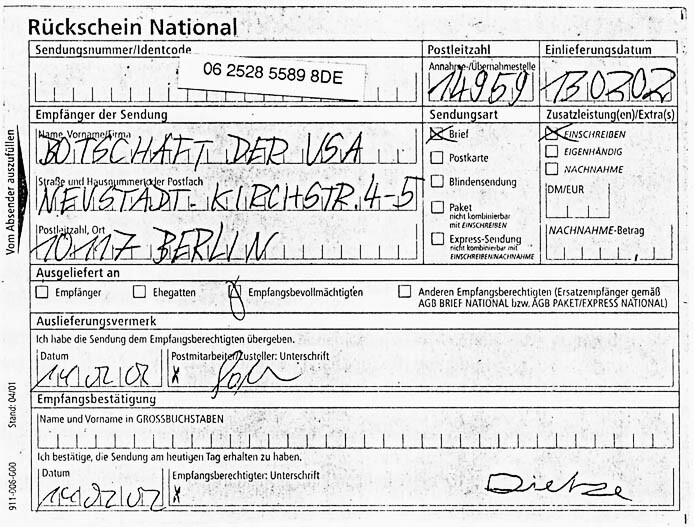 Among other things there were plans indicating where German flying discs and their construction plans are stored, documents proving that Hans-Dietrich Genscher had co-operated for over thirty years with the Stasi (state security service) of the former GDR as Kundschafter (effectively a spy), and about kickbacks being paid to prominent politicians of the FRG amounting to millions in connection with the arrangement of the billion-Mark credits to the former GDR (see also Press Release of August 1, 2001).